Books on Druidry, Celtic lore, and traditions. The first and only Druidic book of spells, rituals, and practice. The Druid Magic Handbook is the first manual of magical practice in Druidry, one of the fastest growing branches of the Pagan movement. The book breaks new ground, teaching Druids how to practice ritual magic for practical and spiritual goals within their own tradition. What sets The Druid Magic Handbook apart is that it does not require the reader to use a particular pantheon or set of symbols. Although it presents one drawn from Welsh Druid tradition, it also shows the reader how to adapt rites and other practices to fit the deities and symbols most meaningful to them. This cutting edge system of ritual magic can be used by Druids, Pagans, Christians, and Thelemites alike! 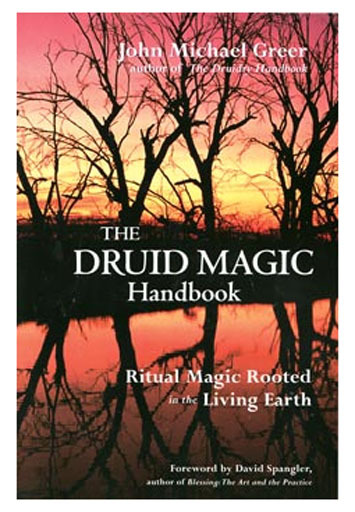 * The first manual of Druidic magical practice ever, replete with spell work and rituals. * John Michael Greer is a highly respected authority on all aspects of Paganism. John Greer. For the ancient Druids, the healing and magical properties of herbs were inseparable from the larger cycles of the seasons, the movements of the planets, and the progression of a human life. 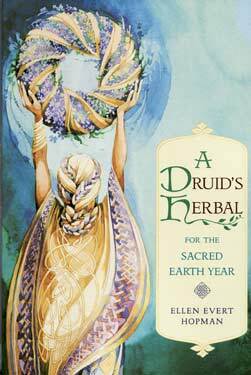 A Druids Herbal shows the reader how to use herbs when creating rituals to celebrate festivals and significant life passages such as births, house blessings, weddings, funerals, and naming ceremonies. Drawing on extensive research and a deep personal experience with Pagan traditions, Ellen Evert Hopman explores the history and folklore surrounding the eight major Celtic festivals: Samhain, Winter Solstice, Imbolc, Spring Equinox, Beltaine, Summer Solstice, Lugnasad, and Fall Equinox. Included in each discussion are complete instructions on the medicinal and magical uses of the herbs associated with each celebration. Using these Celtic traditions as examples, the author suggests ways to incorporate the symbolic and magical power of herbs into personal rituals that honor all phases of life from childbirth to last rites. Also included are chapters on how to prepare herbal tinctures, salves, and poultices; herbs used by the Druids; herbal alchemy and the planets; and the relationships between herbs and sacred places. Filled with practical information and imaginative suggestions for using herbs for healing, ceremony, and magic, this book is an indispensable and comprehensive guide to age-old herbal practices. This is a 213 page trade softcover book. By Ellen Evert Hopman. Invoke the Morrigan - the Celtic embodiment of the victory, strength, and power of the Divine Feminine-and be transformed by her fierce and magnificent energy. 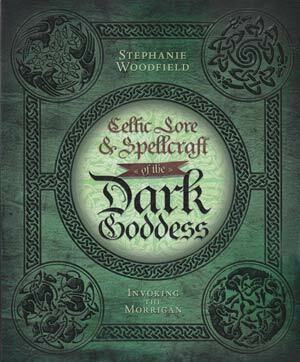 In this comprehensive, hands-on guide to Celtic Witchcraft, Stephanie Woodfield invites you to explore the Morrigan's rich history and origins, mythology, and magic. Discover the hidden lessons and spiritual mysteries of the Dark Goddess as you perform guided pathworkings, rituals, and spells compatible with any magical path. Draw on the unique energies of the Morrigan's many expressions-her three main aspects of Macha, Anu, and Badb; the legendary Morgan Le Fay; and her other powerful guises. From shapeshifting and faery magic to summoning a lover and creating an Ogham oracle, the dynamic and multifaceted Dark Goddess will bring empowering wisdom and enchantment to your life and spiritual practice. This is a 407 page softcover book by Stephanie Woodfield. A living tradition of nature spirituality rooted in Celtic antiquity and revived to meet the challenges of contemporary life, Druidry offers a path of harmony through reconnection with the green Earth. 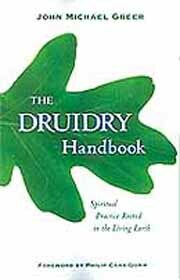 The Druidry Handbook is a hands-on manual of traditional British Druid practice. Explore the Sun Path of seasonal celebration, the Moon Path of meditation, and the Earth Path of living in harmony with nature. From ritual and meditation to nature awareness and ecological action, John Michael Greer opens the door to a spiritualy rooted in the living earth with a mix of philosophy, rituals, spiritual practices, and lifestyle issues. Paperback 272 pgs. by Greer, John. From around 750BC to 12BC, the Celts were the most powerful people in central and northern Europe. With the expansion of the Roman Empire and the later Christianization of these lands, they were pushed to the fringes of north-western Spain, France and the British Isles. But there the mythology of these peoples held strong. The tales from Celtic myth were noted down and also absorbed into other cultures. From Roman and Christian scribes we know of characters like Morrigan the shape-shifting queen, who could change herself from a crow to a wolf, Cu Chulainn, who, mortally wounded in battle, tied himself with his own intestines to a rock so that he’d die standing up, and the Cauldron of Bran, which could restore life. Other than being fascinating in their own right, Celtic legends are of interest for the influence they had over subsequent mythologies. The story of the Holy Grail first appears in medieval romances but its antecedents can be found in the Celtic tale, the Mabinogion. Illustrated with more than 180 color and black-and-white artworks and photographs and maps, Celtic Legends is an expertly written account of the mythological tales that both fascinate us and influence other writings. Hard cover book by Michael Kerrigan.